Damen Offshore Carrier 8500 "Maersk Connector"
Home › Offshore Carrier › Offshore Carrier Range › Offshore Carrier 8500 "Maersk Connector"
On 4 February 2016 the DP2 cable installation vessel Maersk Connector was handed over from Damen Shipyards Group to Maersk Supply Service. 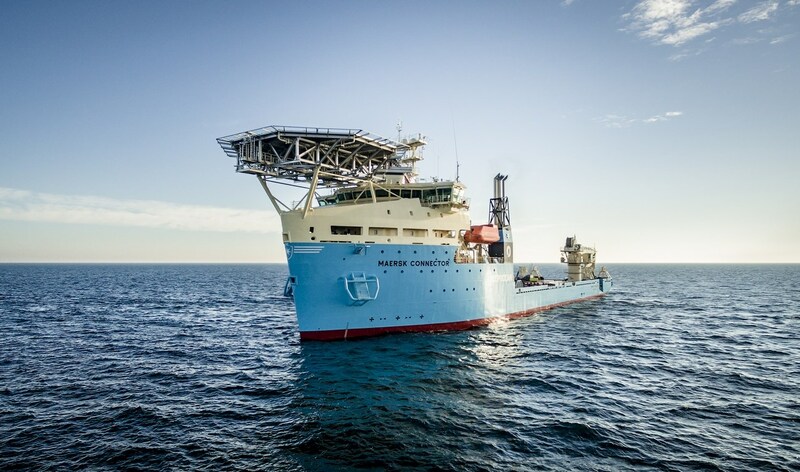 The vessel is going directly on a long-term charter for subsea services provider DeepOcean. Based on Damen’s DOC 8500 platform, the vessel has been customised to meet the challenges of reducing offshore renewables costs. Developed as a flexible platform for both transport and installation work offshore, the DOC 8500 is 138 metres in length and has a beam of 27.5 metres. The bespoke 7000-tonne carousel system accommodates bundled installation of high specification cables with no requirement to coil the cables.